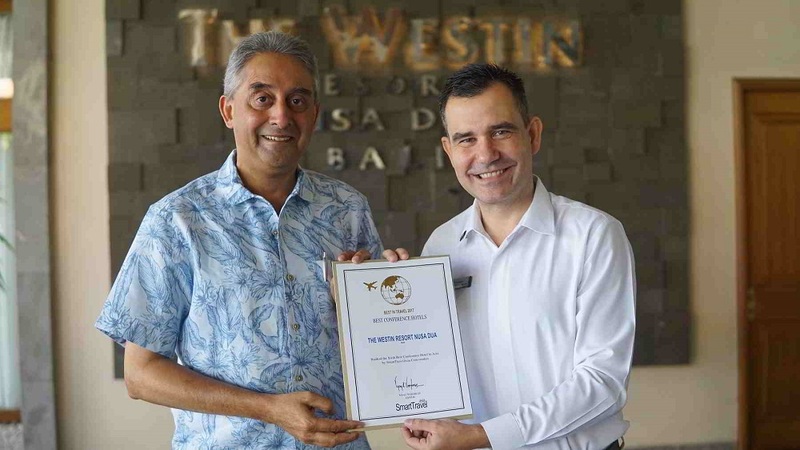 Nusa Dua, Bali, August 2017… The Westin Resort Nusa Dua, Bali is proud to announce that it has added five new accolades to its growing collection.Heavenly Spa by Westin recently claimed Global Winner status in the Best Luxury Wellness Spa category for the 2017 World Luxury Spa Awards. This undertaking strives to recognize quality treatments and service excellence in today’s highly-competitive wellness industry. Simultaneously, in the 2017 World Luxury Restaurant Awards, Prego was named a Regional Winner in the Luxury Family Restaurant category. As a signature eatery under the Westin brand, Prego continues to wow guests with its fun approach to authentic Italian dining. 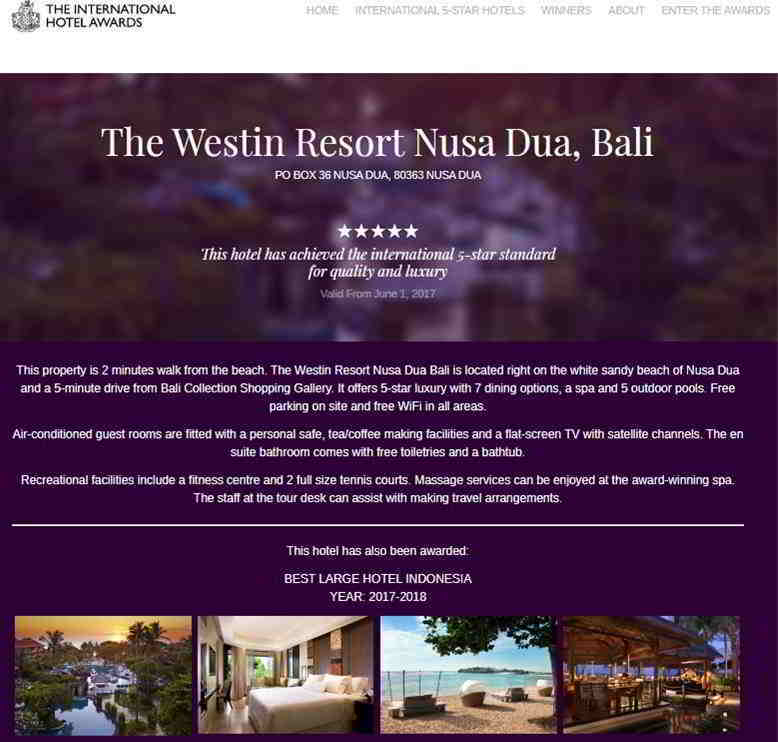 Votes were garnered through various marketing platforms during the preliminary stages of the annual World Luxury Awards. 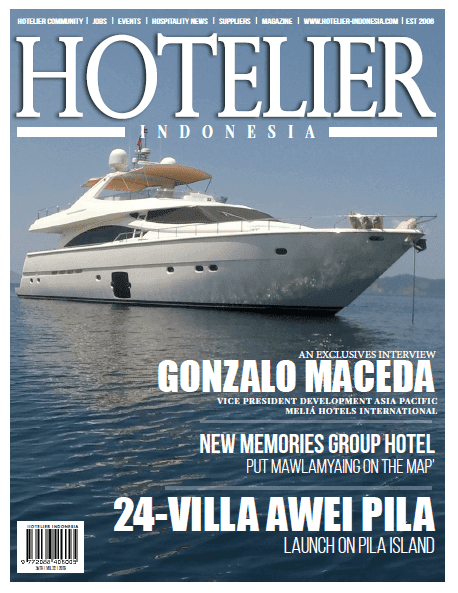 The whole process was based on a number of factors such as brand, location, design, menu, service, facilities and guest satisfaction from online reviews.